Shares of Barratt Developments Plc with company EPIC: LON:BDEV has stepped up 1.39% or 7.2 points throughout the session so far. Buyers have stayed positive during the session. Range high for the period has seen 527.95 meanwhile the session low reached 521.89. The total volume of shares traded by this point was 1,568,979 whilst the average number of shares exchanged is 6,333,349. A 52 week share price high is 705.5 amounting to 185.7 points difference from the previous close and the 52 week low at 6.26 a difference of some 513.54 points. Barratt Developments Plc has a 20 SMA of 515.68 with a 50 day SMA of 545.69. The market cap now stands at £5,337.05m at the time of this report. Share price is traded in GBX. Mcap is measured in GBP. This article was written with the last trade for Barratt Developments Plc being recorded at Wednesday, July 18, 2018 at 1:48:28 PM GMT with the stock price trading at 527 GBX. Shares of BHP Billiton plc with company EPIC: LON:BLT has moved up 1.87% or 30.4 points during today’s session so far. Market buyers are a positive bunch while the stock has been in play. The periods high has reached 1675.8 while the low for the session was 1649.2. Volume total for shares traded at this point reached 3,995,957 with the daily average number around 9,216,839. The stock 52 week high is 1803.6 which is 179.6 points different to the previous business close and a 52 week low sitting at 1278.5 is a variance of 345.5 points. BHP Billiton plc now has a 20 moving average of 1599.41 with a 50 day moving average at 1681.57. Market capitalisation is now £95,443.79m at the time of this report. The currency for this stock is Great British pence.Market cap is measured in GBP. This article was written with the last trade for BHP Billiton plc being recorded at Wednesday, July 18, 2018 at 1:48:54 PM GMT with the stock price trading at 1654.4 GBX. 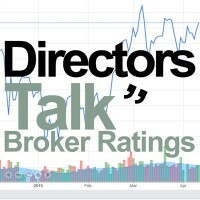 Shares of Blue Star Capital PLC with company EPIC: LON:BLU has risen 13.06% or 0.03 points during today’s session so far. Market buyers have so far held a positive outlook during the session. The high for the period has peaked at 0.28 dropping as low as 0.24. The total volume traded so far comes to 8,421,601 with the daily average number around 8,051,690. A 52 week share price high is 0.69 equating to 0.44 points in difference on the previous days close and a 52 week low being 0.21 is a variance of 0.04 points. 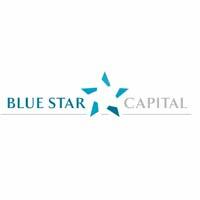 Blue Star Capital PLC now has a 20 moving average of 0.24 and now its 50 day simple moving average now of 0.25. The current market cap is £5.11m at the time of this report. The currency for this stock is GBX. Market cap is measured in GBP. This article was written with the last trade for Blue Star Capital PLC being recorded at Wednesday, July 18, 2018 at 12:44:20 PM GMT with the stock price trading at 0.28 GBX. Shares in BRITISH AMERICAN TOBACCO PLC ADS Common Stock EPIC code: LON:BATS has moved up 1.66% or 63.5 points during today’s session so far. Buyers are a positive bunch while the stock has been in play. Range high for the period so far is 3884 dipping to 3802.5. The number of shares traded by this point in time totalled 909,149 whilst the average number of shares exchanged is 4,580,069. The 52 week high for the shares is 5529 about 1708.5 points difference from the previous days close and putting the 52 week low at 3553 which is a difference of 267.5 points. BRITISH AMERICAN TOBACCO PLC ADS Common Stock has a 20 day moving average of 3710.7 and now a 50 day MA at 3775.31. The market capitalisation is now £89,065.11m at the time of this report. Share price is traded in GBX. Mcap is measured in GBP. This article was written with the last trade for BRITISH AMERICAN TOBACCO PLC ADS Common Stock being recorded at Wednesday, July 18, 2018 at 1:48:50 PM GMT with the stock price trading at 3884 GBX. Click BATS BDEV BLT BLU for the full archive.